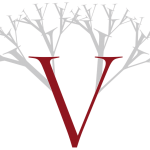 Vermeulen & Company is a medium sized accounting firm employing 12 people. The firm was founded in 1981 with the goal of providing quality services to our clients, consistently. We moved our main office to Ripon, California in 1991 and have enjoyed consistent growth since then. We want you to receive the best financial and tax help possible. We have included several items of interest and encourage you to visit our web site often. We do not sell time – we sell knowledge, both professional and personal. What makes us different and able to succeed is that we see our clients and their personnel, as well as ourselves, as people trying to meet our personal goals while contributing to a common goal. We hope that you will consider hiring our firm, and we look forward to developing a distinctive association.